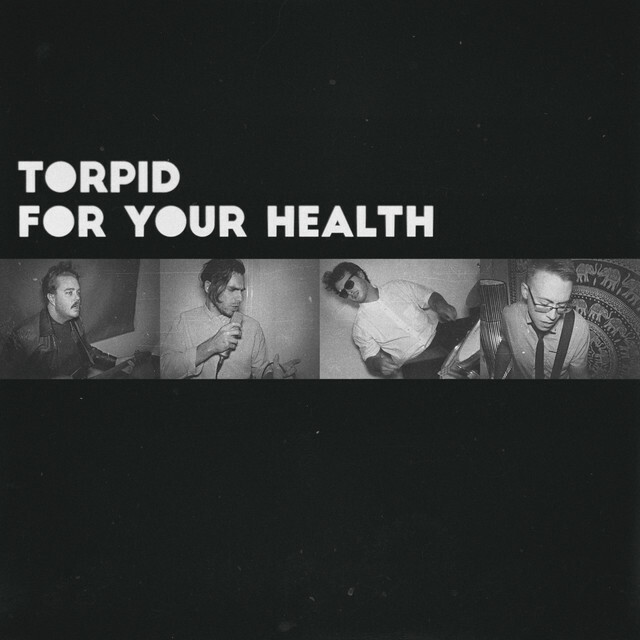 With bass like the heartbeat of a man running from his own shadows and guitar screeching like the dark voices in the back of your head, Torpid’s “For Your Health” is the soundtrack to this winter’s mental breakdown. With a growly voice, a singer channeling a young Nick Cave croons, “Hey babe, I wanna kill myself, but they say it isn’t good for your health.” With this refrain, the vocals bequeath the comfort of a person who is so open about their self-hate, you could tell them anything and your secret would be safe. There is a serious suicide-pact-Romeo-and-Juliette vibe in “For Your Health. The mysterious singer growls, “If we die together, then we will live forever.” He is like a cigarette smoking incubus beckoning you on a motorcycle ride through the deepest darkness of the netherworld. I wish could tell you more about Torpid but all I know is they’re Australian. They have a website with literally nothing other than black and white pictures of the band. The guitar player looks one Quaalude away from passing out, the singer is exactly what I pictured in my head, the drummer and bassist both stylishly look away from the camera in photos. All I can say is I can’t wait to hear more Torpid. You’ll know what I’m talking about as soon as you click below.